The basic 5%-15% is appreciated, but not mandatory. Also many Czechs just round the bill up. 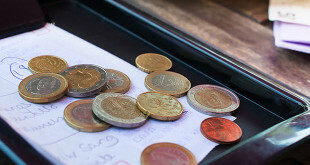 Leave cash on the table if you thought the service was good, or say ‘Dobry’ when paying your waiter; it means ‘OK’, as in, ‘keep the change’. Or, when handing over the money, just say how much cash you would like back. If you say nothing, you will receive the exact change. 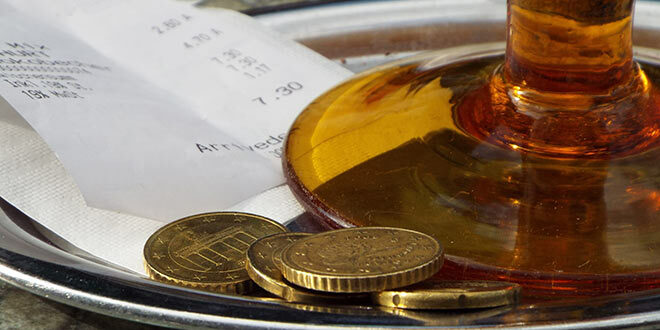 Some restaurants add a ‘service fee’ to the final amount, so the tip is included. If you are unsure, just ask. Also, if you are unsure about any items on the check, it is wise to ask. It can be hard to figure out exactly what you are being charged for, and ‘mistakes’ are not uncommon. Even today some establishments try to rip off tourists. is considered undesirable, as many establishments will take some, if not all, of a credit card based tip “for the house” rather than passing it along to the waiter. If you are paying by credit card, give the waiter tip in cash when he returns your paying slip, or if paying by cash just round the bill up as you are paying or leave change on the table. In some restaurants the waiter may bring nuts, appetizers, bread to your table. Yes, they are for you to eat, but most likely you will have to pay extra for it. Some restaurants in Prague write little disclaimers stating that SERVICE IS NOT INCLUDED at the bottom of the guest check. By Czech law, service is always included, but a TIP is not included. Tip is a reward, not a right; so never, ever reward bad or rude service! If during your stay you are unsatisfied with the level of service at your hotel, restaurant or travel office, try to solve your complaint directly on the spot with the manager or director of the given establishment. In this case you will still always have the possibility of obtaining better service, whereas after your return home you may only ask for redress circuitously from the senior manager of the institution. If need be, you can also contact the Association of Hotels and Restaurants (www.ahrcr.cz), or the Association of Travel Agents (www.accka.cz). Sharing a table: At restaurants where tables are shared, patrons should ask ‘Is it free?’ before sitting down. It’s also polit to wish your fellow diners ‘bon appetit’ before tucking in. Just had a super weekend in Prague didn’t see any pickpockets and felt completely at ease when wandering around. The airport transfer company were wonderful and also arranged our river cruise for us . did see some odd characters when out after midnight one evening but was usually home before that. Have small coins before you arrive. Even €uro coins, if no Czech coins. Check all bills very carefully, and demand more time. Read up on tipping, costs, and restaurants. Count your change carefully at all times. We are first time visitors, well-read, and careful. Still, we have been ripped off several times. You have to think fast at all times, and anticipate. Tell me if it is legal for a restaurant to add a “tip” without even notifying us. At the Rozmberský Palác café at the Castle grounds, we were merely told the price of our lunch. When we asked for details, we were briefly shown a small piece of paper with numbers – no items detailed – written in pencil. Not enough time given us to figure it all out, but it was clearly TOO MUCH. We paid cash, as the waiter wouldn’t take a credit card.